The Kahuzi-Biega National Park is a protected area near Bukavu town in the eastern Democratic Republic of the Congo and it is located close to the western bank of Lake Kivu and the Rwandan border. The park was established in 1970 by the Belgian photographer and conservationist Adrien Deschryver, and it is named after two dormant volcanoes, Mount Kahuzi (3,308 m) and Mount Biega (2,790 m). 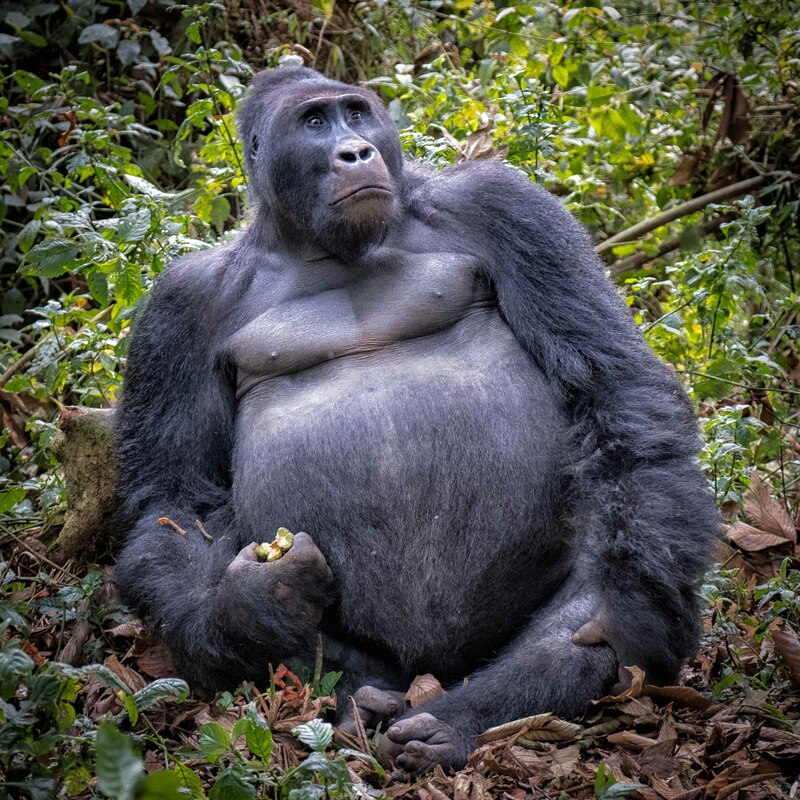 With an area of 6,000 square kilometres and over 600,000 ha, this is one of the biggest national parks in the country and is home to the last refuges of the rare Eastern lowland gorilla (Gorilla beringei graueri), an endangered species on the IUCN Red List. The park is a UNESCO World Heritage Site, inscribed in 1980 for its unique biodiversity of rainforest habitat and its eastern lowland gorillas. The Park contains a flora and fauna of exceptional diversity, making it one of the most important sites in the Rift Albertine Valley and the Congo basin, it is also one of the ecologically richest regions of Africa and worldwide. In particular, the national park contains a greater diversity of mammal species than any other site in the Albertine Rift. It is the second most important site of the region for both endemic species and in terms of species diversity. The Park protects 136 species of mammals. Apart from the eastern lowland gorilla, there are other thirteen primates, including threatened species such as the chimpanzee, the colobus- and cercopithecus monkey. Other extremely rare species of the eastern forests of the DRC are also found, such as the giant forest genet (Genetta victoriae) and the aquatic genet (Genetta piscivora). Characteristic mammals of the central African forests also live in the Park, such as the bush elephant, bush buffalo, giant forest hog (Hylochoerus meinertzhageni) and bongo (Tragelaphus eurycerus). The park receives an average annual precipitation of 1,800 mm (71 in). The maximum temperature recorded in the area is 18 °C (64 °F) while the minimum is 10.4 °C (50.7 °F). 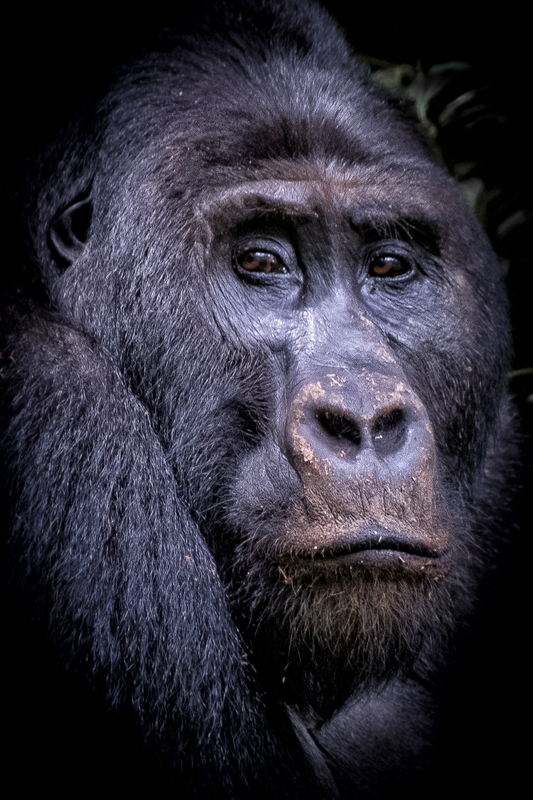 The last census of the gorillas in 2013 counted only 145 individuals. The highland section with most of the gorillas is open for visits, with three gorilla groups habituated for visitation. 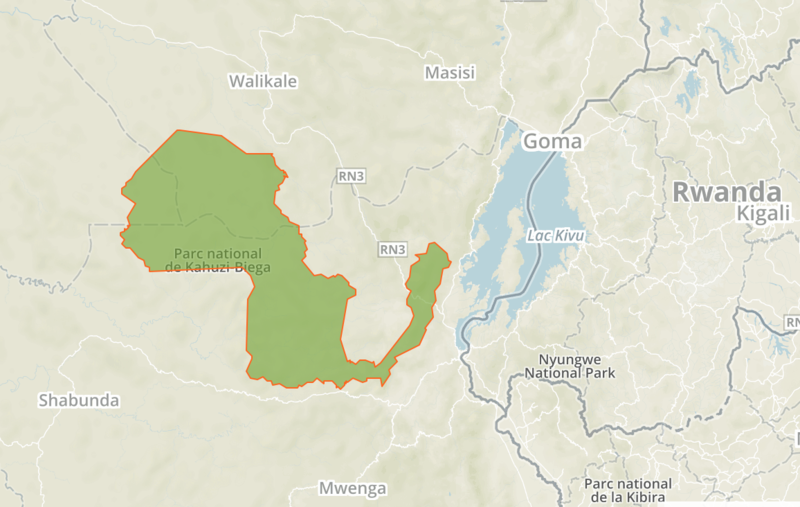 Tourists are advised to contact the rangers in advance and travel with them from the Cyangugu-Bukavu border with Kahuzi Beiga NP park rangers. The park is absolutely gorgeous and the gorilla experience is simply superb. In general, stay with, listen to and follow the advice of the KBNP park rangers and you should be at least as secure as possible for your Gorilla trekking experience. landscape of beautiful mountains makes it definitely unforgettable! Your visit to Kahuzi-Biega National Park will be filled with rewarding adventure in an environment that feels like a taste of paradise. The park is situated in one of the most densely populated areas of the country. 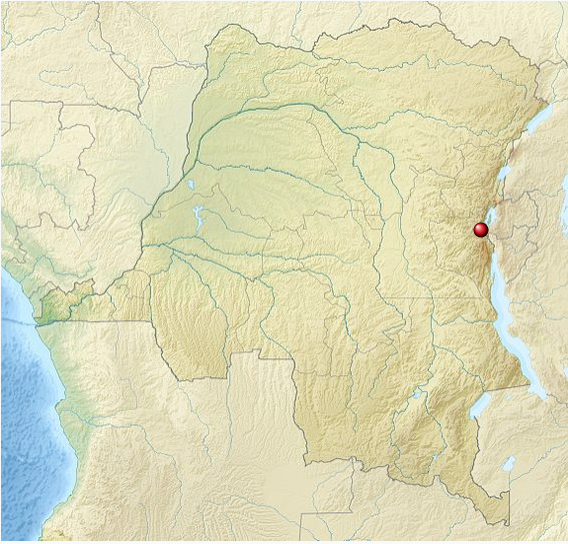 Some 90% of the population of Kivu is rural, mainly dependent on agriculture. Seven separate tribal groups live around the park including the Pygmy, Barega and Bashi peoples. Traditional livelihoods are based on shifting agriculture and subsistence hunting. 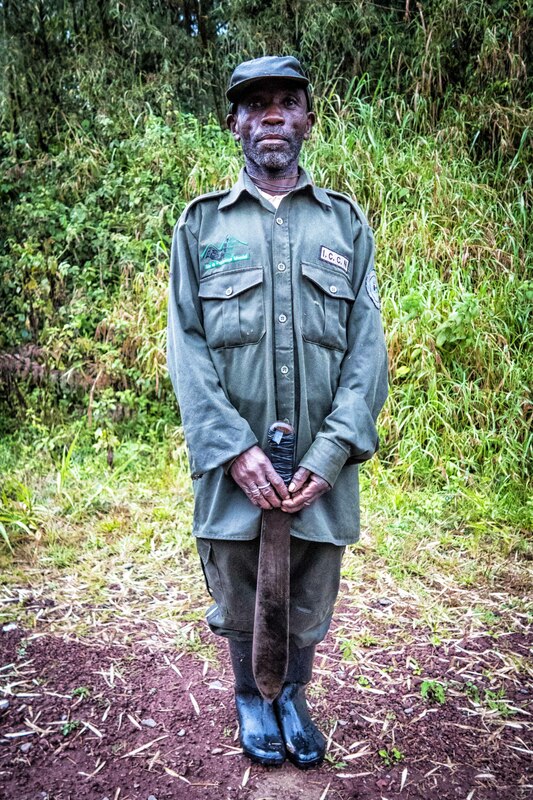 The Rwanda-based tour operator Amahoro tours supports with its non-profit organization Red Rocks both conservation and local communities and is engaged in all three countries sharing the Virunga mountains, DRC, Uganda, and Rwanda. This initiative by Amahoro tours to encourage people visiting the Kahuzi-Biega national park helps act as an example geared at creating awareness and attention for other tour operators in the region to open their eyes and consider not only the natural benefits within the park, but contributes with education measures and financial support to local peoples positive involvement in the park’s management. 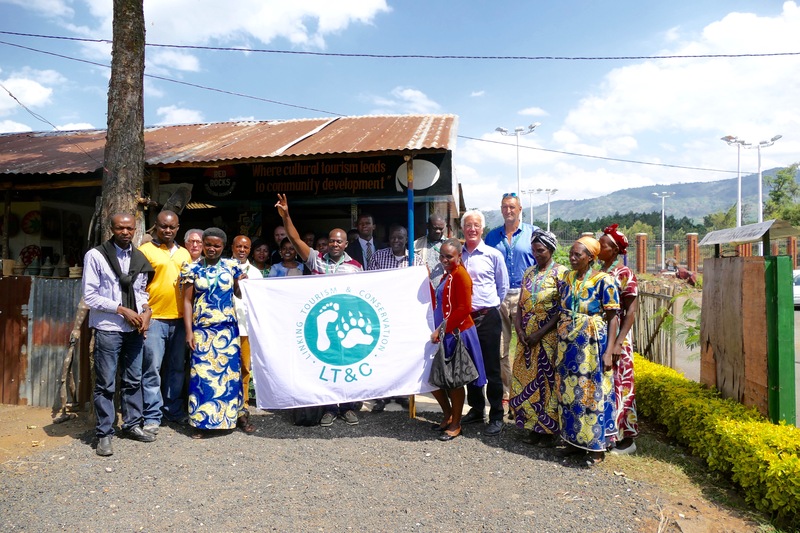 The local tour operator Amahoro tours engages with its non-profit organization Red Rocks Rwanda to ensure it works with local communities and create more local activities. It is with the belief that the more people, who visit Kahuzi-Beiga, the more local jobs are created and sustained, with the effect that local communities support the objectives of the national park. Sustainable conservation for future tourism is the aim. Our marketing as a tour operator in collaboration with the community non-for profit Red Rocks of KBNP as a destination will in the future rotate with the marketing of other national park destinations in the region. Continuous promotion of these destinations will also be achieved by organizing workshops for other stakeholders and policymakers. More attention to highlight the biodiversity richness of KBNP should be given in the context of supporting several national parks in the region. Communicative networking with several other national parks could promote the Kahuzi-Beiga national park a part of destination packages. Established partnerships with other authorities and organizations, in particular with other park management bodies, could enable different tour operators to join this cross border collaboration. This could encourage learning from each other in a broader region and accelerate activities of more tour operators in a direction, which increases benefits from tourism by supporting at the same time several national parks and surrounding local communities. A partnership with another cross-boundary national park region in Africa could be a way to transfer experiences from this example.